Are your products and services delivered on time, every time, and at the quality you promised? Are your people skilled and knowledgeable? Are you utilizing proven and effective operating systems that ensure 110% customer satisfaction? A systemized operations process that is measured is the key to improving profit and cash flow for your business. Every problem can be resolved and prevented in the future. Employees are motivated to perform better when they are provided with the tools and proven methods to accomplish every task. Systemizing your operations is the solution! 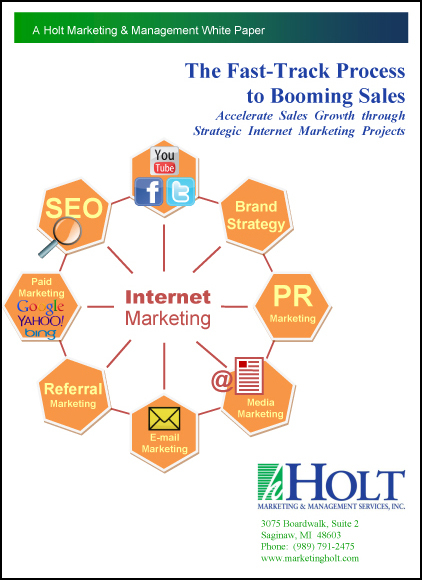 Holt has the skills and expertise to bring your company's operations around and help you be profitable for the long term! So Contact Us TODAY! Improving Production Efficiency with Six Sigma to Save Money. Read this Blog Post to learn how the Six Sigma process of tracking your production efficiency and measuring the variances can save you money.